Going into his senior season at Cretin-Derham Hall five years ago, Donnell Gresham Jr. was recruited by Division I programs, but the interest in him now has gone to a higher level as a graduate transfer. Since announcing last month he was leaving Northeastern, the 6-foot-1, 200-pound combo guard has heard from Power Five schools, including the Gophers back home. Gresham, who averaged 9.7 points, 4.9 rebounds and 3.1 assists as a redshirt junior this season, told the Star Tribune he hopes to set up a visit with the Gophers, but currently he’s scheduled to visit Loyola-Chicago next week and Georgia the following week. When talking with the Gophers recently, Gresham was told they wanted him to help with leadership, scoring and ball handling next season for what will be a much-different looking backcourt. Transfers Marcus Carr and Payton Willis will be eligible, while four-star recruit Tre’ Williams from Wasatch Academy (Utah) is also joining the team. Pitino and his staff are also in the mix for four-star Sunrise Christian Academy (Kan.) guard Grant Sherfield, who is visiting Wichita State on Friday. Sherfield's decision next week during the late signing period could determine how much more Minnesota and Gresham talk about a visit. The Gophers will return freshman Gabe Kalscheur, but they lose seniors Dupree McBrayer and Brock Stull. Sophomore guard Isaiah Washington announced he’s transferring. Junior Amir Coffey, who led the U in scoring and assists, isn't gone for sure, but he declared for the NBA Draft last week. Gresham is an all-around player. He shot well from both three-point range (43.1 percent and 37.9) and the foul line (78.5 and 81.6) the last two seasons at Northeastern. 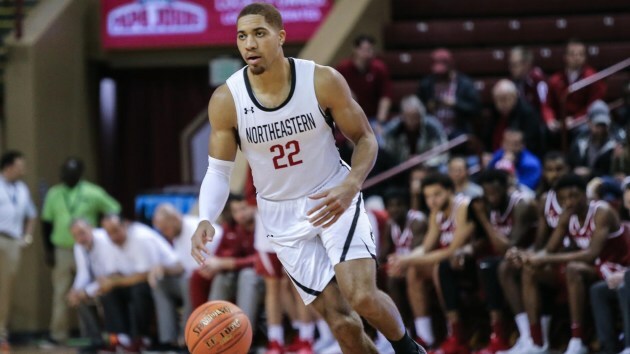 Despite being slightly over 6-feet, Gresham can defend bigger guards and rebound at a high rate, which included eight rebounds, to go with seven points in Northeastern’s loss to Kansas in the NCAA tournament first round last month. Being from Minnesota, Gresham has ties to current Gophers players. He was on the same AAU team as Coffey earlier in high school. Gophers freshman center Daniel Oturu was a freshman on the Cretin-Derham Hall varsity during Gresham's senior year.